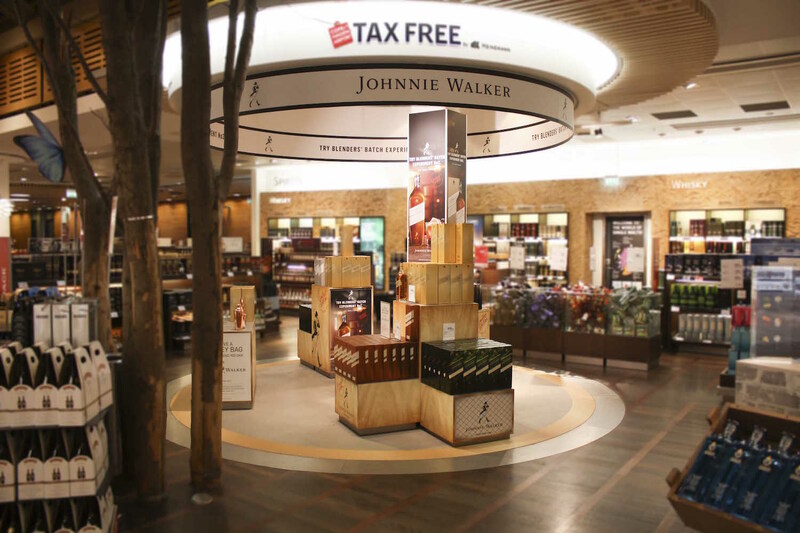 This popular tasting stage in Copenhagen’s Kastrup International Airport has been redressed to promote Blender’s Batch for the first time in Copenhagen. Blenders Batch aims to introduce millennials to the world of whiskey with experimental limited-edition creations by master distillers. Recipe cards show how the different whiskeys can be mixed to create an array of cocktails. CDM has successfully helped to broadcast Blenders Batch since its launch as a travel retail exclusive in Rome in late 2016 and now with our sixth new location in Copenhagen. More promotions are planned in the coming months so Blender’s Batch could soon be at an airport near you!